Whether you are remodeling, building a home, or just looking for ways to live better in the home you have, these are important tips to consider for every green home project! Unique Home Building has worked with families and individuals over the years. 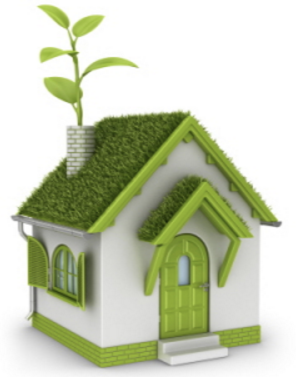 This is why we want to share these important tips for every green home building or remodeling project. Solar panels are a great way to conserve energy and utilize natural electricity. To see if your home is a candidate for solar panels, go out on your roof on a sunny day mid-morning and see if the sun shines on it. Do this again mid-afternoon. If the sun shines through on the shingles for most of those in between hours, and your home isn’t blocked by nearby buildings or hills, then you could be a great candidate for natural energy in your home! Having energy efficient windows will allow for better heat capturing in the winter and better eat filtering in the summer. The general differentiation of windows beyond style (double-hung, casement, sliding, etc.) is the glass or glazing and the framing material. There are three main types of frame materials, each addressing several lifespan aspects of the windows; wood, vinyl and aluminum. Fireplaces inserts (rather than a traditional fireplace) that can burn logs and paper trash, has intake and outflow vents at the bottom and top (you shouldn’t need a circulating blower), has an easily operable damper, and sports large glass doors so you can enjoy the dancing flames. A fireplace insert is 50–75 per cent efficient and easier to operate. Another option would be a gas fireplace or dutch oven! Dutch ovens are a great option as they emit so much heat with less fuel and wood needed. Plus, the only modifications that will be needed involve a small hole drilled into the wall for the release! Be smart. Get help where needed. Anytime you’re considering bigger changes in your home, you want to consult with a contractor to be sure you’re doing things in the safest, and most budget friendly way. Mistakes are more expensive to fix than to prevent.